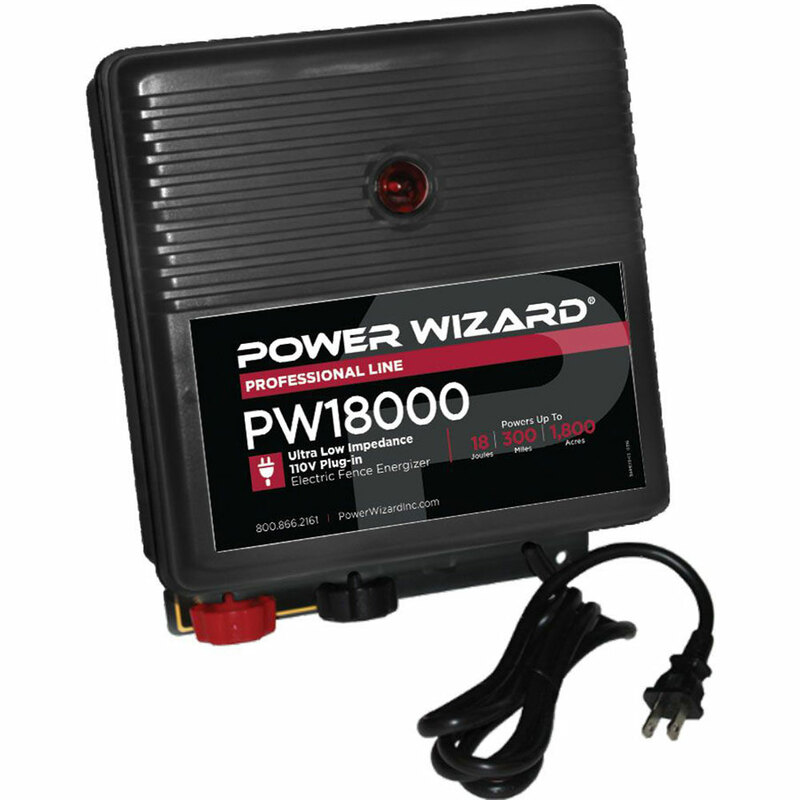 Power Wizard shock technology plug-in models provide 110v of energy to contain horses, cattle and keep predators out! Select a model based on acreage, animal type and miles of wire. Power Wizard shock technology plug-in models provide 110v of energy to contain horses, cattle and keep predators out! Select a plug-in model based on acreage, animal type and miles of wire. Whether you are protecting a single acre hobby farm or energizing wire fence to encompass 2,400 acres, there is a Power Wizard Ultra low impedance model to meet your needs. *Note: To determine what charger to use for 4 strands of electric fence take the length x width = square footage. The square footage divided by 43,560 = the # of acres you have. Acre listing is given for each charger. Just pick the correct charger for your number of acres. - My charger is working great and i've had it for years. Warranty: 3-Year Limited Warranty. The warranty applies if the charger doesn't provide consistent shock pulses along the length of your electric fence or if there is damage to the charger by lightning and voltage strikes. Shipping: This item ships via UPS. Below are links to informational literature, installation manuals, and some layout ideas. All links below are in PDF format, which you can save and print for future reference.